1. No job means I don’t have to get up early right now, so I don’t. 2. People have been very kind in offering their support and suggestions of places I might apply for a new job. 3. We’ve seen three movies in the past week (two for cheap; one for free). I didn’t love them all, but I love getting to go to the theater. We’ll be back next Friday at the latest for the new Fantastic Beasts film’s opening night. 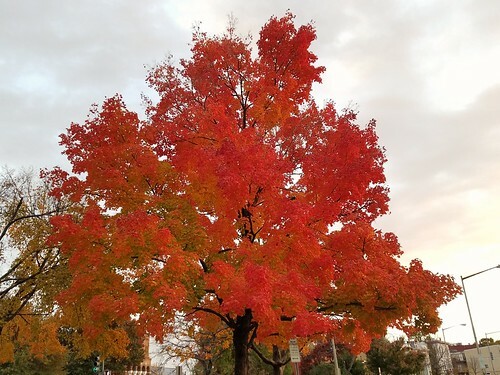 Pittsburgh’s fall colors were much delayed this year, but like a switch was flipped on… suddenly everything is peak and the color is amazing!